The perfect solar storm has erupted with incentives, power generation and paybacks that make solar power the key piece for predictable, sustainable, low-cost energy. Energy costs erode the bottom line of a business. Solar energy systems reduce or eliminate those costs, freeing up capital to be put back into a business rather than the utility grid. 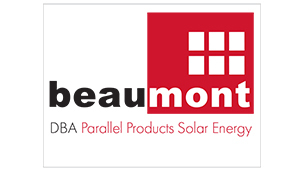 The Beaumont Solar financial team has aligned solid programs of financial options through the most viable strategic financing and investment partners in the industry. The partners are dedicated to renewable energy and have the ability to provide 100% of the necessary capital. We understand not only the dynamic economics of the solar industry, but also the value of return to your business. Whether you operate in single or multiple locations, we assist each client in the business case preparation and analysis of a proposed solar energy system to identify the most cost-effective financial mechanism to yield the highest ROI for your business model. From finance to implementation, the entire Beaumont Solar team has one goal in mind: To provide each business with the highest quality renewable energy system yielding maximum production output, expediting the return on your investment with absolutely no interruption to your daily operations.